It’s empties time again!! I feel like I somehow have a never-ending supply of empty tubes and bottles of things recently! I am still sort of playing catch-up actually, since I organized TONS of stuff in my recent linen/bathroom closet project and I found some things still lurking around that I hadn’t gotten to throw away yet! In the future, I most likely won’t have quite as many empties on a regular basis. I will probably do monthly or bi-monthly posts then. 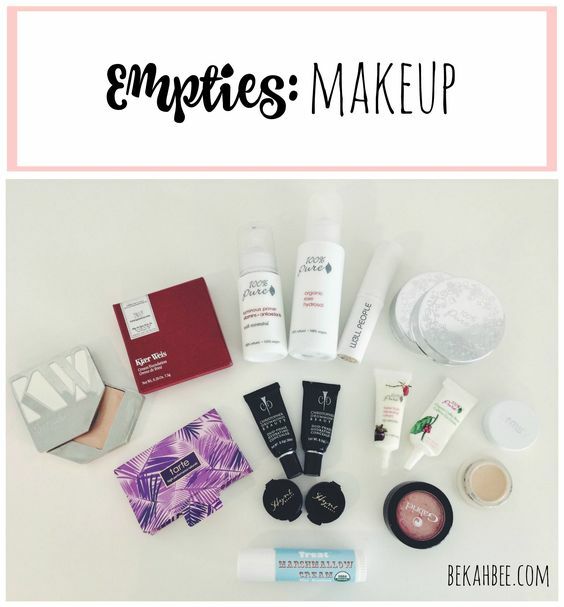 I don’t know about you, but empties posts/videos are one of my top faves, since I feel like you really know if you like a product or not by the time you have used it all up! 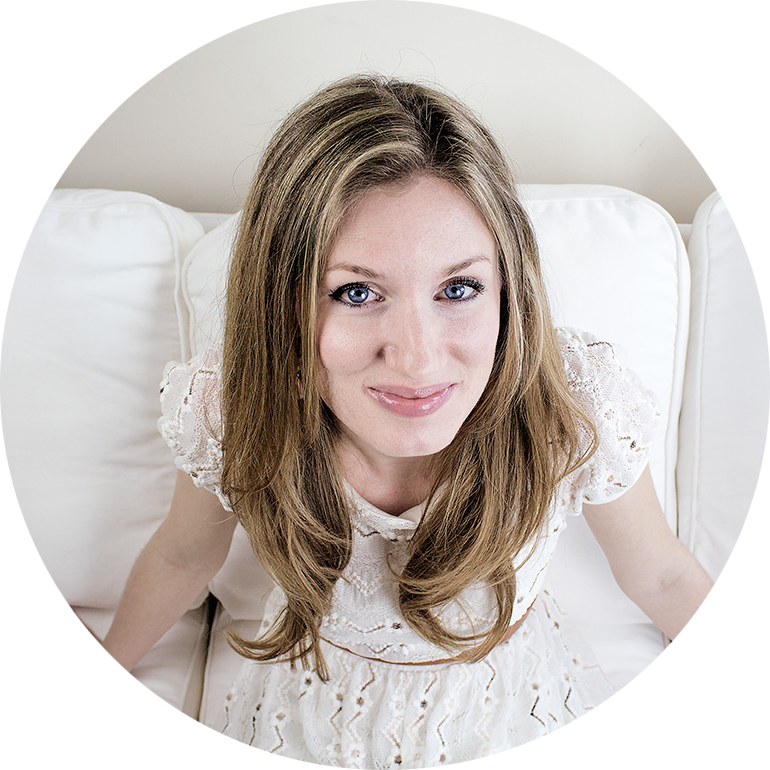 Kjer Weis Foundation: Ok, so I think I am probably the only person in the entire green beauty world who absolutely did NOT care for this foundation! It gets soo many rave reviews, and I know so many people love it, so that’s where personal preference and skin type come in! For my acne-prone, acne-scarred, combo to oily type, it just did not work for me. Which I was super bummed about, because it is definitely the most expensive foundation I have ever bought, green beauty or otherwise. I was never fully happy with the way it looked after I applied it, I just couldn’t get the amount of coverage I wanted, it highlighted my texture issues, got very oily throughout the day and it did make me break out. Due to a recent discovery that I am quite sensitive to anything with coconut oil in it, especially on my face, I know why! Because it has coconut oil in it. And that is honestly a huuuuuggggeeee pet peeve of mine, how many green beauty products (especially face and makeup products) contain coconut oil, because many people do not do well with it. But, I will expound on that peeve at a future time possibly! So, Kjer Weis face products are a no-go with me, unfortunately! Also, a quick note on the packaging so many people rave about: I did not care for it either. The weight of it made it quite clunky and easy to drop while applying, and the mirror finish got so smudgy with fingerprints which I constantly had to wipe off so it didn’t look gross. Also, I always prefer gold to silver, but again, just my preference! 🙂 I can absolutely appreciate the obvious care and quality of all their products, and so many blushes and other things look beautiful, which I just looked at and it looks like they do NOT have coconut oil in them, so I may have to try them in the future! 100 Percent Pure Luminous Primer: This was another product that gets rave reviews and works well for so many people, but sadly not for me. I used it up to be sure that I couldn’t get it to work for me, but it didn’t. Again, it was too “luminous” for my oily skin but they did not have the mattifying primer yet, back when I bought it. That one seems much better suited for my skin and I may try it in the future. But I have to say, I have never had luck with primers yet. They tend to make my makeup look cakey or not do much for me at all. W3LL People Narcissist Foundation: This one actually isn’t empty since I truly did not care for it. It was honestly quite a while ago that I tried it, so I am trying to remember if I liked the coverage or not. I think it was ok, but not perfect for me. It was actually the scent that was just too much for me to bear! It made it kind of a deal-breaker. It smelled very strongly like asparagus or some other veggie, and it was very overpowering. I never thought that it may have been bad or expired, back when I bought it! So, I am not sure if it was bad, or just like that normally. RMS Uncover-Up Foundation in 00: I think this may have been one of my very first green beauty foundation buys. I could not finish it because it has coconut oil in it as well, and it made me break out. I also need/like very full coverage, and I couldn’t get as much from this. I think it is much better suited for people who want sheer coverage and have drier skin. Gabriel Cosmetics Blush in Apricot: This was a recommendation from Cassie from Cloudy Apples, on YouTube. (who is awesome btw!) It served me pretty well for quite a while, since I think it is the only blush I used for well over a year. Although it was pretty pigmented, it wasn’t quite as blendable as I would have liked. This color was pretty, although it looked much better on Cassie, and I should have maybe picked a pinker one. I think it has gone bad by now, and I found other blushes that I enjoyed more! 100 Percent Pure Coffee Bean Eye Cream: Always a fave of mine, and I mentioned it in this post here. I have since purchased the larger size and I still love it! 100 Percent Pure Superfruits Reparative Cream: This was a freebie sample with an order. I did not love this one though. It ended up being very greasy on me. 2 Tubes of Hynt Beauty Concealer in Light (back when it was called Christopher Drummond Beauty) & a sample size of the same concealer in Light & Fair: Okay, so..this one is a LOVE and a not-LOVE! I’ll explain why. I ended up getting this concealer back right before Christopher Drummond was re-branded as Hynt beauty, hence the 2 different names. I had heard that this was a concealer with amazing coverage, and that is the absolutely the top thing I am always looking for in my life! It did not disappoint, as the coverage is just as good as everyone says. It is awesome! It actually covers hyper-pigmentation, scars and blemishes. In fact, I was really hoping I had found my HG concealer. The ONLY problem, is that they do not have enough colors! I tried both shades Fair & Light, and the Fair is too pink, and the Light is just a tad too yellow. Oh the trials of being a very fair skinned, yet neutral-undertoned girl! 🙁 I reached out to Hynt Beauty and asked if they were ever going to expand the range to include a fair neutral shade, but unfortunately they have no plans to do so. I am still toying with the idea of buying both shades and blending them myself, but that would cost around $50 and is a major pain. I may still end up resorting to that in the future, but in the meantime I am looking for and trying new concealers that are already a perfect shade for me! Tarte Blotting Papers: I got these blotting papers to keep in my purse for touch-ups for extra oil throughout the day and they worked pretty well for that! I would love to get the Jane Iredale ones next though, since they come in a sleek gold case which would be really pretty and also stand up to wear inside my purse a little better than a paper package. Treat Jumbo Marshmallow Cream Chapstick: You know how they say absence makes the heart grow fonder? Well, that is true! I didn’t know how much I actually loved this chapstick until I lost it one day and had to use my EOS one and it didn’t compare at all! I used to love those too, but they are nowhere near as creamy and moisturizing as the Treat chapstick. There are a couple funny things about it though. First, it comes in a HUGE tube that is more than 2x bigger that a normal one. Which is weird at first, but you totally get used to it, and actually love it because it lasts that much longer! And second, the coconut oil in it has a different texture depending on the weather and how warm it is. In the summer it was very creamy to apply, and when it was cooler it was more textured when you rubbed it on, but it does melt on contact with your lips. I thought the flavor tasted more like vanilla or coconut than marshmallow, but I still love it and am totally going to get another one since I am out now and having withdrawals! I may try the Soft Candy flavor next. So…overall here’s how everything stacked up in a nutshell! 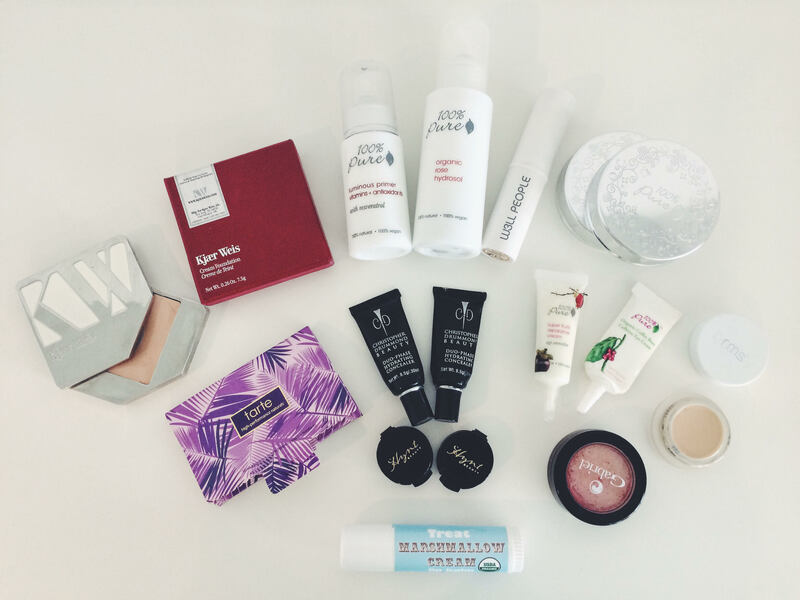 This entry was posted in Beauty on 09/08/2016 by bekah. I want to try that coffee bean eye cream!